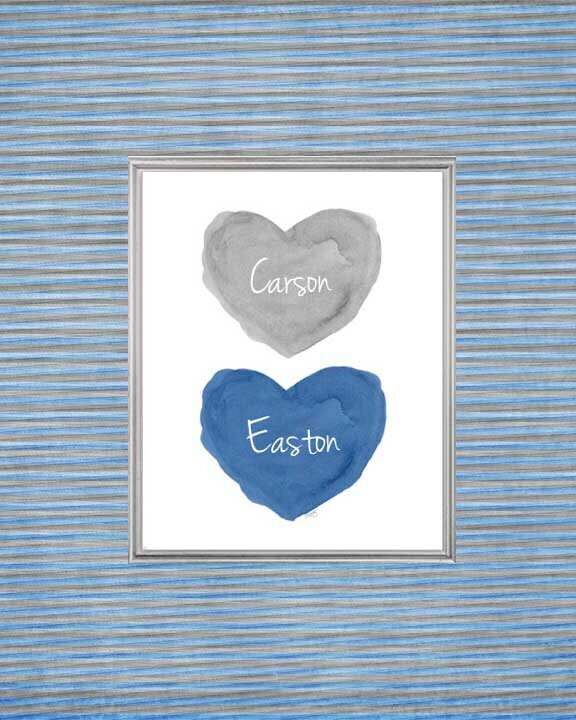 Coordinating blue and gray hearts made especially for your boys! 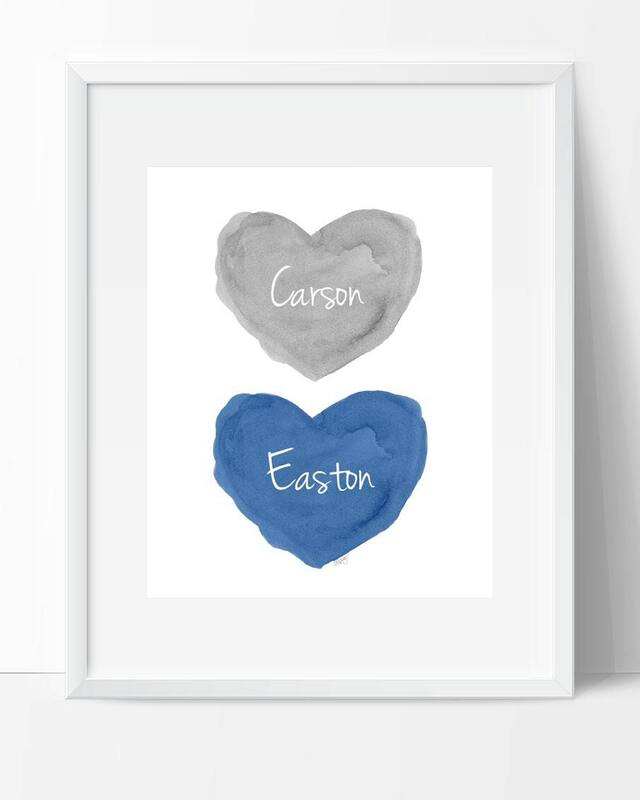 Personalize my most popular watercolor heart with your special names.Lovely for a gift welcoming new babies into the world. Please include your special names in notes to seller at checkout. 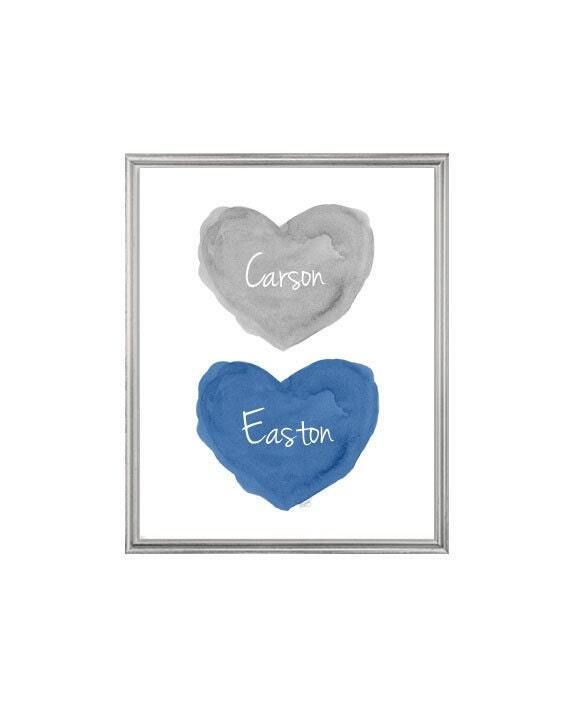 Fits perfectly in a standard 8x10 frame with no mat, or you can use a standard 8x10 mat and frame in a standard 11x14 frame. Beautiful! 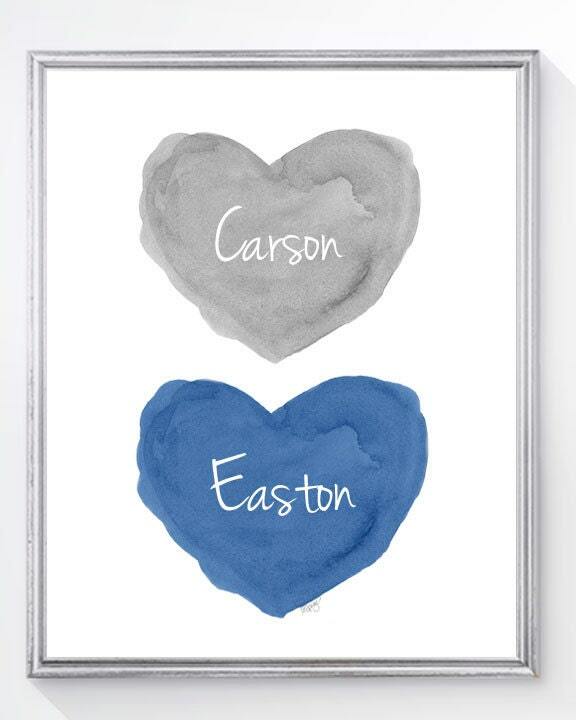 Perfect gift, and fasts shipping! Thank you! SO pleased with this!! Can't thank you enough! !